For more information on the Guild’s Industry Partner Program, click here. 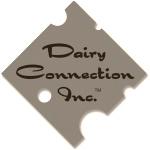 Dairy ingredient supplier Dairy Connection has served the Oregon cheesemaking community since 1999, with a commitment to the highest level of service. We are proud to become one of the Oregon Cheese Guild’s first Foundational Partners, and look forward to deepening our relationships with Oregon’s artisan cheesemaking community and working with the Oregon Cheese Guild to help forward the Guild’s initiatives. We take pride in our role as a preferred supplier of cultures, enzymes, other ingredients and technical expertise to a growing list of excellent cheesemakers. 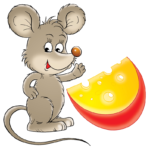 At Formaticum, we protect the life of cheese and defend its flavor. Our cheese storage paper and bags are manufactured in France and designed specifically to wrap and store cheese. Mimicking a cheese cave, our products allow cheese to breathe while maintaining optimal humidity. Formaticum products are the same material used by the finest cheese professionals and keep your cheese tasting fresher, longer. Cheese is alive. Store it accordingly. Founded in January 2010, by a Swiss-German family that has been making Swiss cheese for three generations, we couple tradition with innovation in our business. We carry cultures, lipase and rennet by Danisco, CHR Hansen, Biena, DSM, Lallemand, Bioprox, Code-Xing, Renco and many more manufacturers. We have over 100 different styles of cheese hoops in stock at all times and over 350 total supplies. The Cheese Connection LLC’s corporate headquarters and primary distribution center is located in Seattle, Washington so we can fulfill shipments to the Mountain, Southwest and West Coast clients very fast. We look forward to becoming an integral members of the Oregon Cheese Guild given our Northwest location. Fromagex has been offering a wide range of products for cheesemaking for the last 16 years. Our team is proud to give an excellent service and support in a personalized approach orientated to production efficiency and quality. We are a dynamic business based on teamwork, efficiency and client approach. We work as partners with our clients and suppliers to create success and we are always willing to share our experience and knowledge. Biogen Laboratory Developments, LLC (BLD) is a consulting-based laboratory group offering custom analytical design and reports, focusing on services that most production labs don’t offer. BLD specializes in analytical and regulatory challenges within the food and nutraceutical industry and stays on the forefront of industry developments to satisfy the demands of rising regulatory issues and public concerns. Innovative, cost-effective, easy to use analytical tools for process control (ensuring consistency to protect your brand name), safety, quality and product development. Welcome to DPI… We Deliver Success! People with a passion for fine specialty foods expect more. At DPI, we understand . . . and we deliver. DPI searches the world to provide our customers with an extraordinary selection of products that will delight consumers and enhance your business. Our product mix includes Gourmet, Specialty, Natural, Organic, Gluten Free, Local and Ethnic foods in all three temperature ranges. Our unique combination of product knowledge and options for in-store services ensures that DPI will deliver sales growth for our retailer and vendor partners. We are the Pacific Northwest’s premiere specialty food supplier, committed to quality products and personalized service since 1947. We are a family owned and operated importer and wholesale distributor of specialty foods based in Auburn, WA. We pride ourselves on offering a product selection tailored to our customers’ needs, and the personalized service to work with our customers as partners in shared success. Alexis Foods’ mission is to source and distribute the highest quality specialty foods. We strive to maintain superior quality, exceptional service, and locally sustainable practices. Alexis Foods has become one of Portland’s premier food distributors. Alexis Foods was established by Alexis Bakouros in 1987 after great success with his award winning Greek restaurant. We want to be the ultimate neighborhood grocery store. That means creating the best shopping experience possible. One that is easy, fun to shop, and genuinely friendly. It means providing you with the best mix of products, from Frosted Flakes to free-range chicken. It means building a market for local and regional products and supporting family farms. It means giving back to our community, and creating a progressive workplace where our staff can thrive. Our vision is clear. Create a unique environment that fosters exceptional customer service, employee commitment, community involvement, operational performance, and financial results. A highly motivated and well-trained team will be key to achieving our vision. Our mission is in our name: choice. 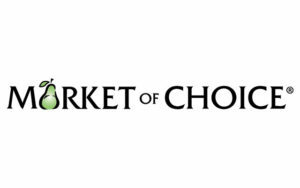 Market of Choice will offer an extensive selection of the finest and freshest conventional, natural, organic, and health-conscience products at affordable prices. We will strive for a relaxing and enjoyable shopping experience with truly friendly people who care about the communities where they live and work. The Oregon Cheese Cave in Southern Oregon is a tiny specialty cheese shop provides Oregon cheese and Oregon products to the locals and tourists, along with events and education and all around cheese fun! Founded in 1950, Elliott Powell Baden & Baker Inc (EPB&B), an independent insurance agency, has become a leader in the local insurance community. With a business model based on integrity and service, EPB&B has developed a vibrant culture of the industry’s most sound and savvy insurance sales and service professionals. We are full service, multi-line agency, offering personal lines, commercial lines and life and health coverage to individuals and businesses throughout the Western United States. Davis Wright Tremaine is a full-service law firm, with approximately 500 attorneys operating across our nine offices throughout the west and east coasts of the United States and in Shanghai, China. DWT is proud to have one of the most comprehensive and coordinated food and beverage legal teams in the United States. DWT lawyers devoted to the food and beverage industry support clients daily by providing practical advice and strategic solutions associated with manufacturing and supply chain transactions among suppliers, distributors, and customers; marketing, advertising, and labeling, initiatives; trademark, copyright, patent, and trade secret protection; food safety audits and product recall matters; corporate governance and commercial finance; employment practices, incentives, and benefits; and compliance, permitting, and policy matters with USDA, FDA, and alcohol beverage regulatory authorities. We facilitate game-changing industry mergers and acquisitions, and litigate and resolve “bet-the-farm” disputes for food and beverage clients facing those transformational events. Perkins & Co was founded in Portland in 1986 and has grown to be the largest locally owned accounting firm in Oregon. Our entrepreneurial mission is to be an alternative to the national firms while focusing on the business needs of the region’s closely held companies. Perkins specializes in a number of industries, including food and beverage, manufacturing, wholesale distribution, real estate, professional and creative services, high tech & emerging growth, dealerships, healthcare, and nonprofits. The firm also provides services to public companies and is an independent member of the BDO Alliance USA, a nationwide association of independently owned local and regional accounting, consulting and service firms with similar client service goals. Julia Powers, The Traveling Cheesemonger. Marc Bates, Bates Consulting LLC.